There are so many different loan options today that it easily can become overwhelming, where you may not know which loan program or loan source to apply with. Conventional banks will only approve you if you have a well-established, profitable business. Some alternative lenders will lend to you if you have a certain amount of revenue, while others only care about your personal credit quality. Some lenders will lend you money based on your collateral, and others insist you have excellent business credit to get approved. With so many business loan options available today, do you know how to get the most amount of money at the best terms? Our team and finance suite platform pull together all legitimate business lending programs into one place. We work with hundreds of different lenders that offer unique loan programs that work for all different types of borrowers. By working with all legitimate loan programs and an arsenal of lenders, we can get you the most amount of business financing at the best terms. 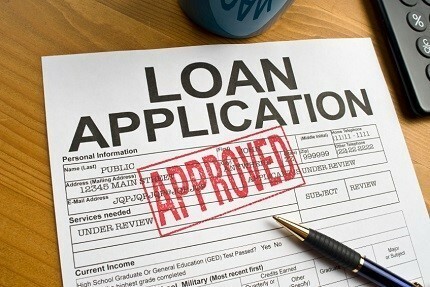 We often help clients secure multiple types of loans and credit lines through different sources to maximize approvals. Plus, our team even negotiates lender rates and terms for you to ensure you get the best terms available. And, we use the volume of loans we close as leverage to get you even better terms. You finance team works hand-in-hand with you, and directly with lenders to get your loan approved and closed quickly. You can get funding in as little as 72 hours, and get rates even lower than 5% on some funding. And, you get an entire finance team of loan processors and Finance Officers who work together towards one common goal, getting you the most money at the best terms. Contact us today to get loans and credit lines for your business, even when banks say “no”. I was able to get a Paydex rating of 80 from Dun & Bradstreet that allowed me to then access larger revolving lines of credit with Macy's, Staples and with Amazon. At the end of about six months, I had about 10 different trade lines that allowed me to then make application for Visa and MasterCard of $5,000 and $10,000. © 2019 Budget Credit 360. All Rights Reserved.